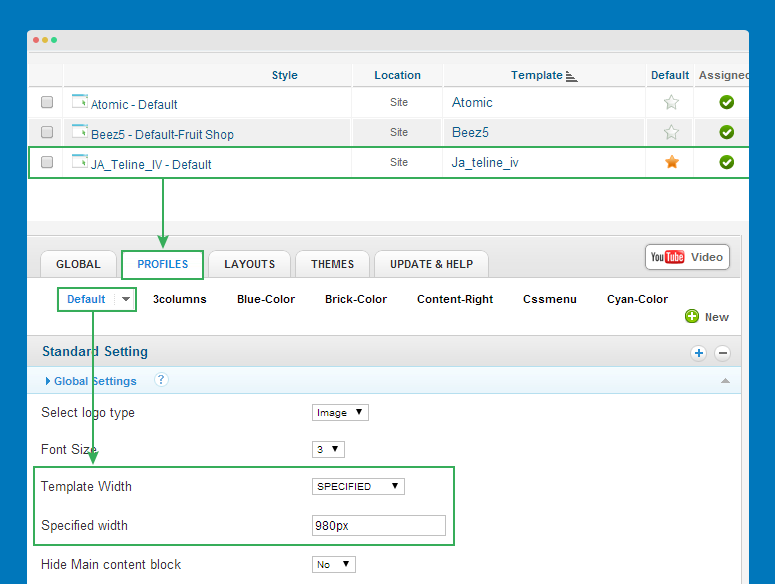 How to customize layout width for templates developed with JA T3v2 framework and T3 framework. From back-end of your site, go to: Extensions >> Template Manager >> JA Template >> Profiles Tabs >> specified width as you wish. 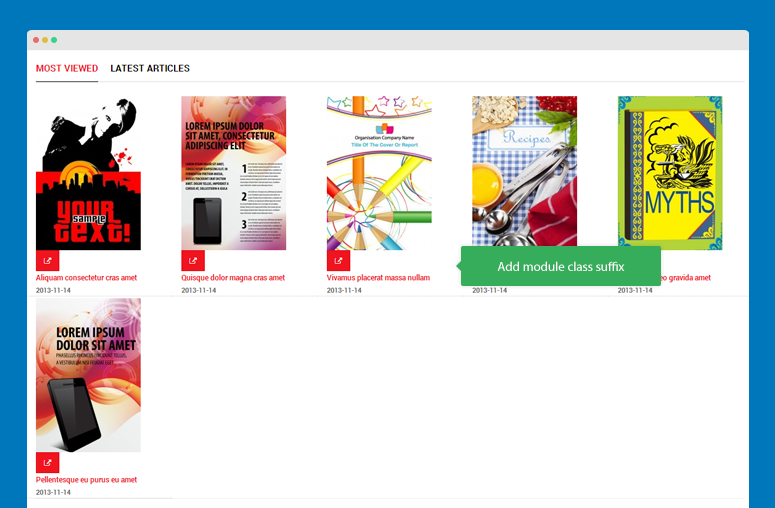 Here is the list of templates developed with T3 Framework version 1.4.x- and integrated Bootstrap 2. @T3gridWidth:             980px;  // T3 add. For non-responsive layout. 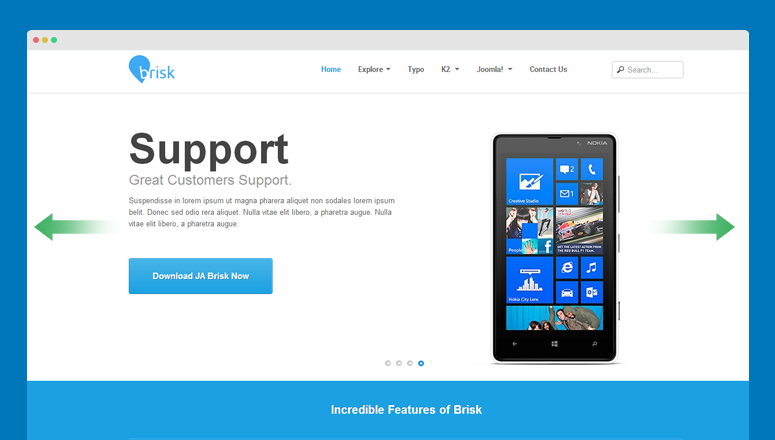 Now customize size for responsive layouts as you wish. Next, compile LESS to CSS. From back-end of your site, go to: Extensions >> Template Manager >> JA Template then click Compile LESS to CSS button so that the changes will be compiled to CSS file. 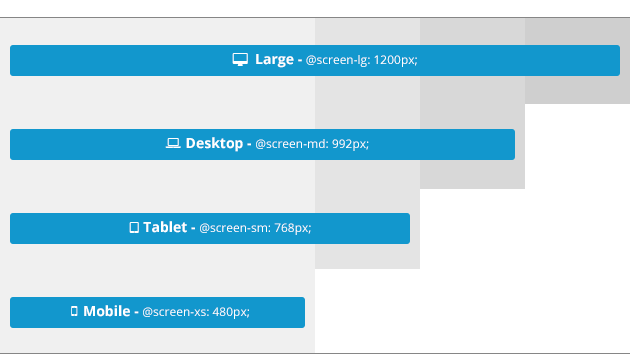 Now customize the size for responsive layouts as you wish. 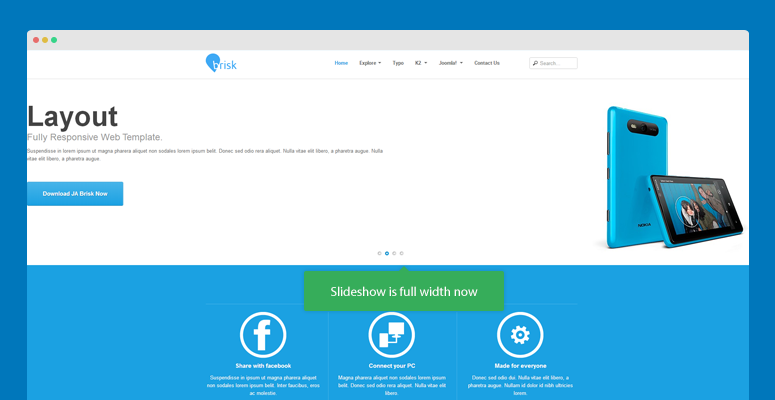 I want to change size of a position (sidebar, main content) in templates developed with T3 Framework. This docs is for templates that developed with T3 Framework version 1.4.x- and integrated Bootstrap 2. Open the block file that you want to customize size of positions. By default, the block files are located in: templates/t3_bs3_blank/tpls/blocks/. We use the span grid of Boostrap 2 to arrange width of positions in each block. You can customize size of position by changing the span width for position, just make sure that the total span width of all sections in the block is 12 span. 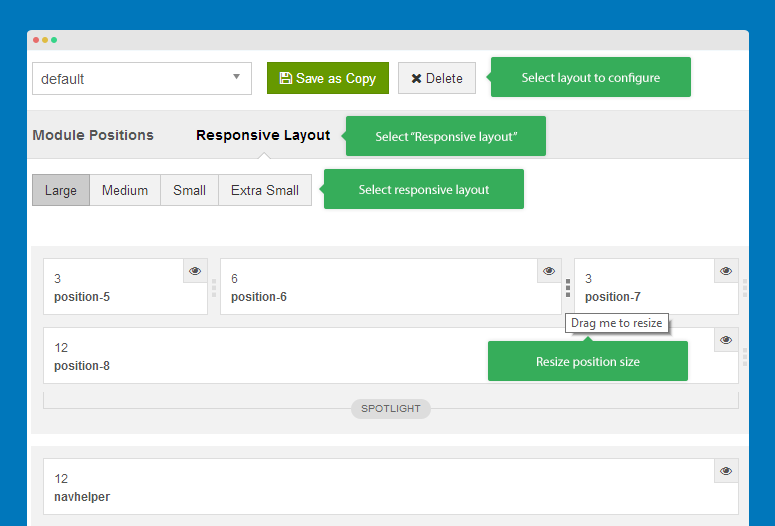 You can customize size of positions in responsive layouts such as tablet layout. This docs is for templates that developed with T3 Framework version 2.x+ and integrated Bootstrap 3. We use grid system of Bootstrap 3 to arrange size of positions in each block. In the sample above, we have main content position, sidebar 1 and sidebar 2. The total grids is 12. In Medium devices, main content size is col-md-6, sidebar 1 and sidebar 2 is col-md-3. In extra small devices, main content size is col-xs-12, sizebar1 and sidebar 2 is col-xs-6. To change size of the positions, just change the grids for devices. In back-end of Purity III template or any template developed with the new T3 framework, you can change the position of module and the number of position in spotlight block and resize the positions. Open the back-end of JA SideNews module, add a Module Class suffix for the module - col-5. Now add style class rule to the custom.css file in templates/ja-template/css. Create such new file if it doesn't exist. Does t3/Purity III have the ability to easily swap from full-width to boxed layout? With new T3 or Purity III template, it supports various layouts. And in admin panel of T3/Purity III, you can easily assign position to part of layout you want and change the number of module position in spotlight block. We implement Bootstrap into our framework, so with a bit knowledge of LESS / Css you can easily change to layout as you wish. 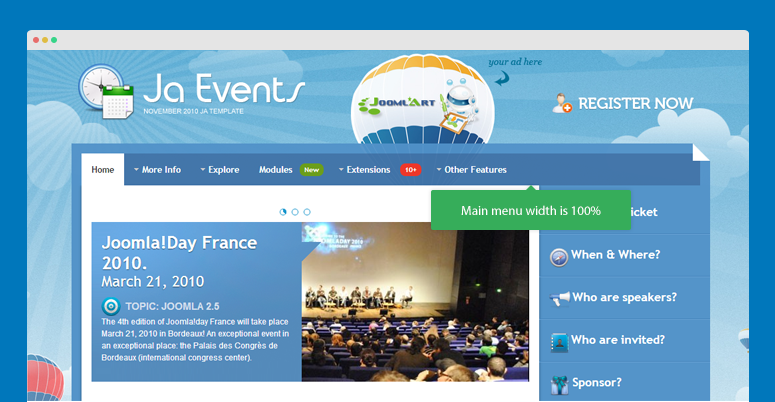 How to modify the main menu width 100% in JA Event template?